With varying interpretations of All The Things You Are bookending this latest release by American pianist Orrin Evans, the title The Evolution of Oneself neatly captures the intent, range of styles, inspirations and dedications on this engaging recording. Evans, like many of his peers who established themselves through the 90s, is at ease burning on contemporary post-bop as well as reflecting soul, hip-hop and any number of influences. 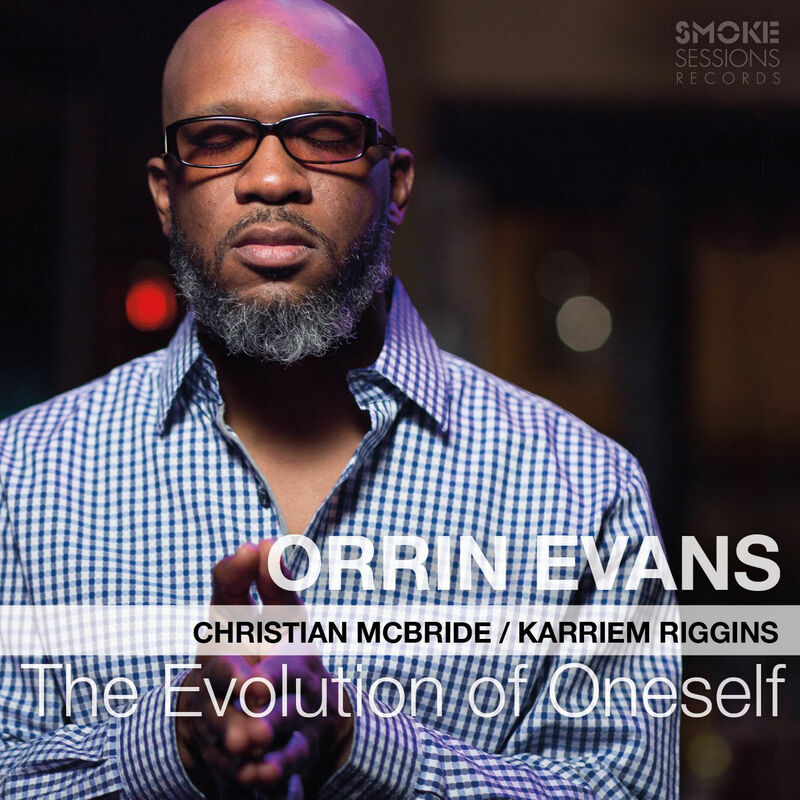 The album is a personal, collaborative affair with the core trio of contemporary and fellow Philadelphian Christian McBride joining Evans’ former New York room-mate, drummer Karriem Riggins. They are augmented by guitarist Martin Sewell on two tracks and vocalist JD Walters on one, to map out the journey. The opening, fizzing take of All the Things You Are, Evans’ snaking lines over Mc Bride and Riggins’ surging, swinging groove glancingly tracing out the familiar shape of the Jerome Kern standard; Evans own For Miles (for his son), an episodic piece with a distant nod to McCoy Tyner in its rolling pulse and open chords; a deconstruction of Autumn Leaves with stop start pulse and open abstract interplay before picking up a hipper vibe; these all signal a focus to Evans playing that’s steeped in the tradition and feels like a centre of gravity. Sweet Sid, and Spot It You Got, are swingers that pop with energy, ideas and individuality. Other pieces create different moods and atmospheres. Feb 13th, penned for his mother by bass player Eric Revis, is a musical elegy rendered beautifully by the trio; Wildwood Flower an Americana theme stated by guitarist Sewell is distorted and morphed by volleys and clatter from piano and drums making a powerful statement. Soul, beats and hip-hop provide a staring point for yet other pieces like Jewels & Baby Yaz and Iz Beatdown Time and a tribute to fellow Philadelphian, Grover Washington in A Secret Place. The material may be varied, but this largely acoustic set from a pianist confident in his own voice feels very coherent. His top drawer collaborators make this a very classy album indeed.